Congratulations are in order for 7th grader Matthew Li and his Vex IQ Robotics team – Rising Phoenix, coached by Matthew’s father, Yun Li. 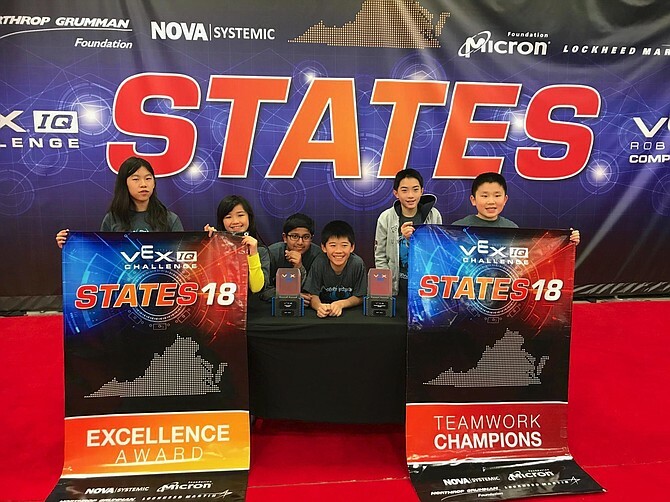 The Rising Phoenix team won this year’s Vex IQ Robotics Virginia State Championship for the middle school division. This year’s competition was a one-day challenge held in Doswell, VA. 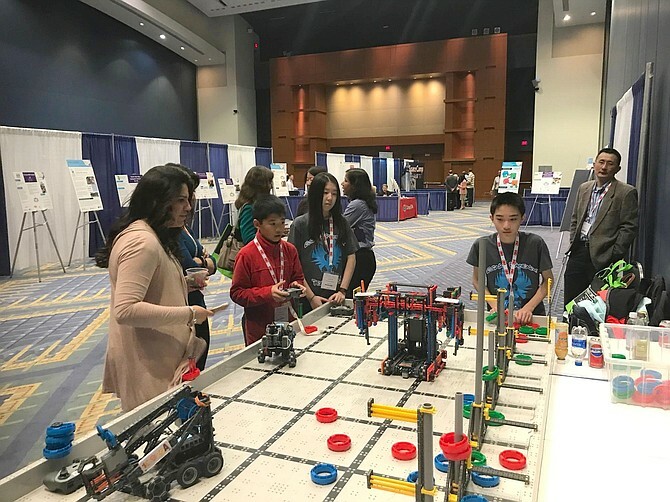 Team Rising Phoenix designed and build a robot in accordance with strict VEX IQ requirements to compete against other teams in a game-based engineering challenge of multiple robotic matches played on a 4-foot by 8-foot rectangular field. Classroom STEM concepts were put to the test during the competition. The team took home the Excellence Award beating out 17 other highly skilled teams from across the state! The Rising Phoenix Team was also awarded the Teamwork Champions award. The team’s accomplishments earned them an invitation to compete in the upcoming 2018 VEX Worlds in Louisville, KY, later this month. This will be the Rising Phoenix’s third year in a row that they’ll be competing in the Vex Worlds, which is a competition that brings teams from across the globe to compete against one another. Good luck at VEX Worlds, team Rising Phoenix!